Magical. EQUINOX 2018 definitely tops my list of festival experiences – the attention to detail, organisation and production was second to none. The intimate, recklessly abandoned crowd, together with the mystical venue created one truly enchanting atmosphere. The musical progression from techno to psytrance to progressive on a single stage is also not something I’ve seen before for a weekend event. I’m going to approach this review a bit differently by trying to build on an analogy that was running through my mind constantly over the weekend. Lately I’ve seen a number of movies/series that have emphasised the enhancements of virtual reality (VR) and gaming – creating alternate worlds for us to explore and experience things we wouldn’t normally have access to. Well, perhaps it was just the recency of watching these shows, but throughout the weekend, all I was visualising was how the EQUINOX team had built an entire new world for us to explore and enjoy. Video game and VR designers spend months designing their worlds; they have absolute freedom to create whatever they want. It’s all just 1s and 0s, thousands of lines of code, where they ultimately try to create a world that they feel you, the consumer, would get the most enjoyment out of. Well – this is exactly what the EQUINOX team did. Those woods were completely transformed. 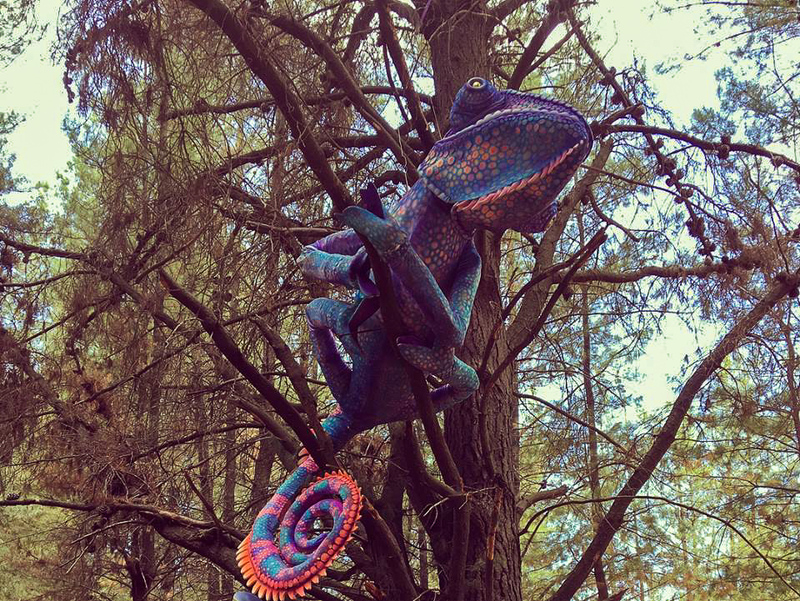 There were visual cues everywhere – from a massive chameleon in the trees to secreted deity faces sculpted onto random trees; small figurines scattered around the grounds to the immense eye of the stage. Countless artworks all contributing to building a unique environment for us. Now, the best games often provide you with an open world – this is where the limits or boundaries of where you can explore aren’t easily perceivable and you have freedom to progress as you want. However there is always a singular theme or purpose that ties everything together. 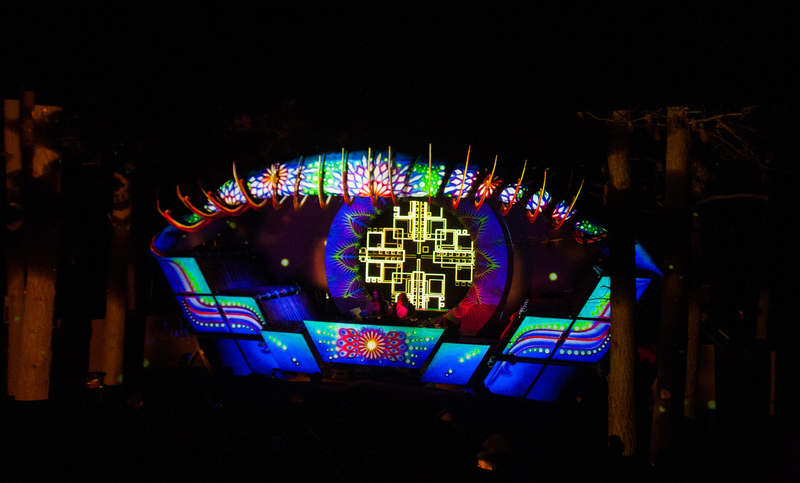 EQUINOX provided you with a similar freedom with the stage being the focal point and dancing being the main theme. 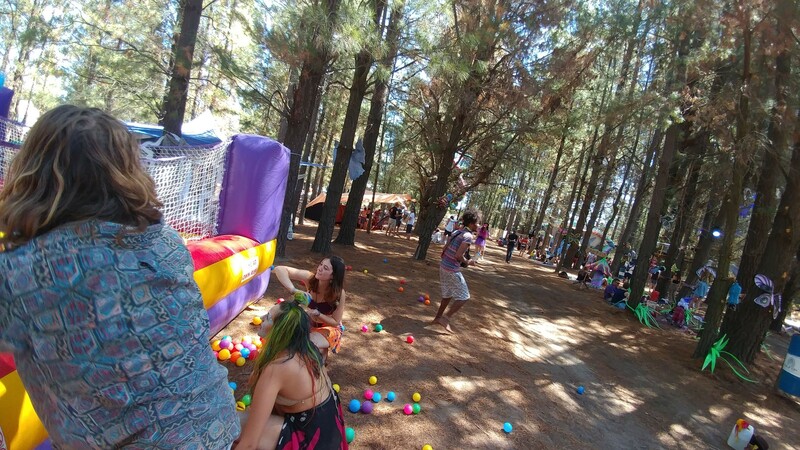 You could go wandering in the forest, bounce on the jumping castle, laze in the ball pit, walk the tightropes, rejuvenate in the campsite, gaze up at a sky perfectly lit up with stars, interact with the numerous dogs – almost like in game critters, watch the fire dancers or just gambol about. All whilst being constantly drawn back to the stage where we had pure freedom to dance and let loose. Each attendee could also create their own characters for the weekend. You could be anyone you want to be with no predefined culture fits to consider. Now, a lot of people find it easier to interact with others through the guise of a computer screen – here in this fantasy land there was no need to hide. There are none of the boundaries society seems to place on us that limit our interactions to those from our friendship circles or workplace – you could easily walk up to anyone and just start up a conversation. One of the key aspects to many games has to be the interaction with other characters; you can hear their tales, receive some knowledge or get clues on how to progress further. I honestly think this was core to what made this event so special – everyone was freely communicating, constantly sharing stories and laughter, motivating one another, etc. This was aided by the incredible Funktion1 sound system – with more than enough volume and clarity for you to fully immerse yourself in the music, yet you’re still be able to hold a conversation with the person next to you. Quick side thought, while mentioning the music: so games also always have soundtracks right? Well, you could see the stage as providing us with an absolute treat of a soundtrack that was audible from anywhere on the grounds – a constant backtrack to our weekend. All together this created an extraordinary unity in the crowd; one that provided everyone with a sense of comfort and freedom to be themselves and dance however they pleased. Why worry about how you’re dancing when everyone around you isn’t – zero judgement. We were all on that floor for one reason – to dance. The floor was also incredible spacious – allowing the crowd to easily move in an almost Brownian motion resulting in a constantly flowing dance floor full of energy. For instance, if you zoom into the cover photo for this review here, you can easily identify every single person in the crowd – all with faces of pure bliss. There was no more spending hours lost trying to find your mates. I’m sure most of you know that EQUINOX also run their ticketing system with quite a unique invite code structure. This is were previous event attendees get a code that they can share with a few friends who will then be able to buy a tickets and in turn be able to invite their friends to the following event – building a network or tree of people (the concept behind the EQUINOX logo). This is also very similar to how a lot of games run their pre-release testing and allows the organisers/developers to track users and cultivate the experience to include only like-minded individuals and keep out any problem causers. The organisers were also actively engaging with the crowd over the weekend to build their own perceptions of their attendees with the goal of also implementing a reward system for those that help contribute to the quality of the experience. There were also so many layers to the production – every aspect could be interpreted in many different ways. The most obvious being the stage: as a whole it was a huge eye, but each element of the eye was an artwork of its own – all working together to create a living stage. However, the visuals didn’t just give the impression the stage was moving, the quality and layers of effects gave it texture. It was almost as though you could reach out and touch it – the inner rings’ lashes ‘feeling’ like soft feathers. Practically every game is designed to tell a story; to provide entertainment through a series of chapters and levels. 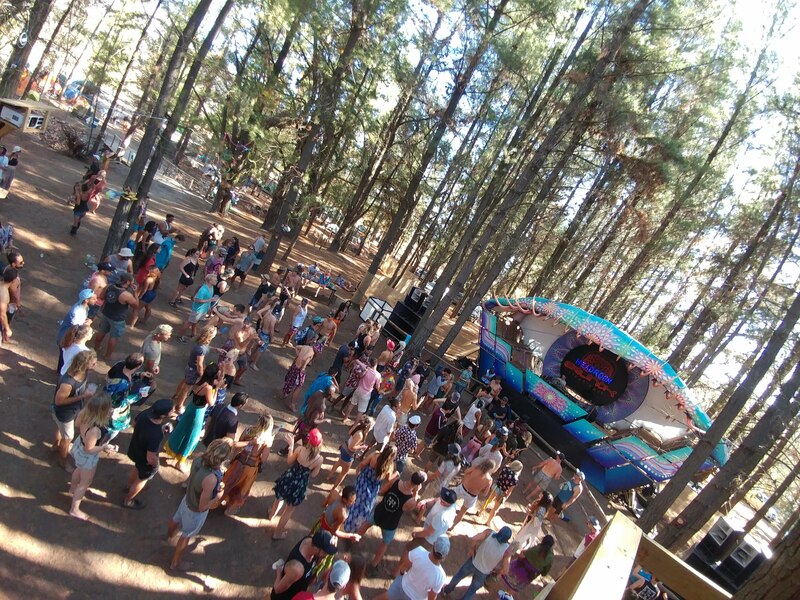 Well, EQUINOX managed to curate their line-up in such a way that there was a constant progression of musical energy, going through different stages, with each set being provided by a new storyteller. A conglomeration of some of the best artists from around SA – featuring many names well known in the Joburg scene that we don’t often get to hear in Cape Town. And every single act playing utterly top-notch quality music – taking full advantage of the expertly tuned Funktion1 rig. The passion and dedication Dale and Hugo have for those speakers and programming them to sound the way they do is phenomenal. We started off with Chapter One – an intro to the weekend initiated by a debut live set from VO who provided some ambient sounds that built into an amalgamation of deep and tech elements. This deep, techy progression continued through the afternoon/evening with artists Bameano, Patrick McCreanor (ES), Craig Shacid, Mogey and Daniella Da Silva each providing us with their unique styles that flowed perfectly between one another. The evening peaked with Weekend Heroes (ISR) and Nick Grater bringing the slightly harder techno selections while Defuse and Bander & Lewis continued this, providing tracks for the more ‘industrial’ techno lovers. And closing off the first chapter, Erebus brought in some more melodic elements with his sound. All together, a chapter mostly focused on the different styles of deep house and techno. And so began Chapter Two – my personal favourite. Things kicked off with LEEU who played a downtempo/chill set – easily adding an extra hour to the already 90 minute live set – something anyone that’s prepared a live set knows is no easy task. 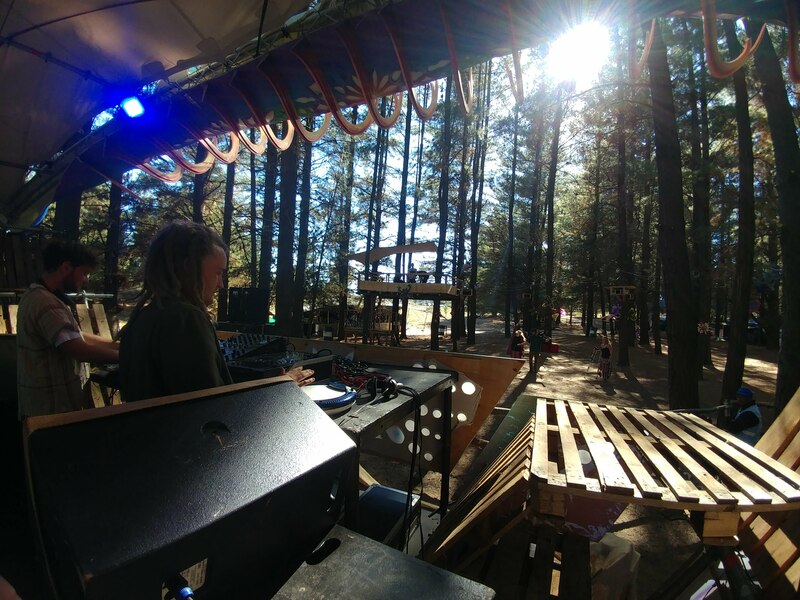 Almost providing a musical reset to the dancefloor and playing to a select few didn’t hamper LEEU from performing one of the most impressive sets of the weekend; a perfect backtrack to those chilling in and around their tents – easing everyone into the Saturday. From here the day just escalated. Artists that usually play at night were playing morning and early afternoon sets, but the energy from the crowd allowed them to do as they pleased. These names speak for themselves: Wulfsohn, Ryan Hill, Mark Valsecchi, Stab Virus, Deadbeat FM and Stereotype all played an exquisite selection of absolutely powerful, banging techno. As a techno lover, I really couldn’t have asked for a more star studded lineup of local acts. Every layer and element of their tracks perfectly reproduced on the Funktion1 system – telling a constantly evolving aural story. And even though the music was slightly slower than the trance most of the crowd were used to, everyone was easily able to find their own groove. Ending off the first half of our experience was a special techno set from internationals: Sawlead Ground (ISR). I could honestly write an entire paragraph on every artist that played this day, but to refrain from boring you with that detail I’ll blanket it as a chapter of sonic excellence and powerful, psychedelic techno. Chapter Three – the beginning of the trance so many were waiting for. But first we had RoomMush who absolutely blew me away – seeing this man progress over the last few years has been incredible and he left no question that he is the king of the Minimal Psy genre in SA. He even played his new Crash Bandicoot Bootleg to add to my game analogy. From here we had Sawlead Ground (ISR) play their second set. The duo having spent a great deal of the event hanging out with festival attendees had a great connection with the crowd which was clearly evident in the way they interacted with and controlled the crowd – throughout both their sets. And just like that the proper psychedelic trance had arrived. Positioned perfectly between the Israeli internationals we had the two main guys behind EQUINOX playing an incredible live set as Quantum Project. Timelock (ISR) and Gonzo then followed with some no holds barred trance kicking the energy in the crowd up to its definite apex. This all leading us, in under 6 hours from the end of the techno, into someone I personally rate at the forefront of the South African psytrance scene, Rubix Cube. And Kieron definitely gave the crowd exactly what they were waiting for – some full on psy madness. 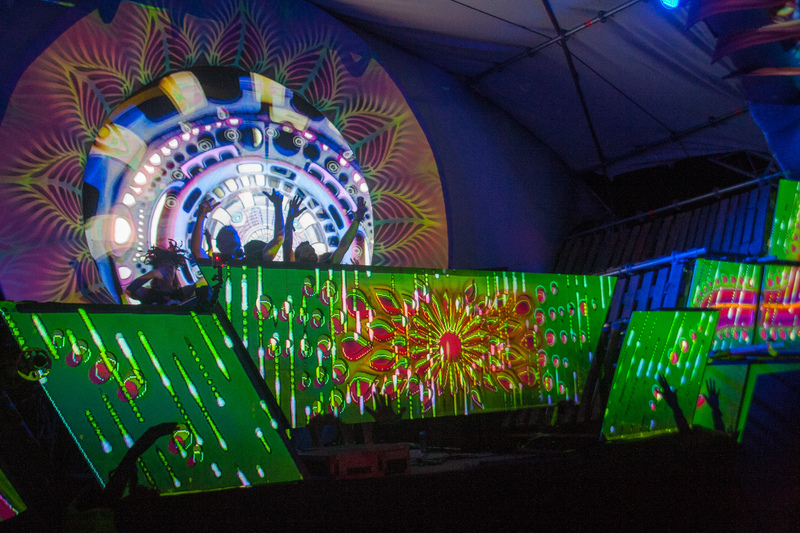 Closing off the psytrance focused chapter was Deliriant & Dan Scot – two names synonymous with quality psychedelic music. And so we reached the final chapter of our euphonious journey – the progressive Sunday Funday. Phixius’ and Bongi’s energetic sets lured the crowd to the dancefloor and set a great tone for the day. This was followed by festival favourite and super enigmatic Portal building a truly electric atmosphere on the dancefloor. We then had 34° South playing a, as he describes, prog-monster set leading expertly into the Sunday Funday legend – HEADROOM. Having seen almost 10 sets from this man this season so far, I’m always in awe how he still manages to completely blow me away – both with his track selection and mixing – every single time. Watching him experiment with his mixing and his joy when it works is truly inspiring – a true master at his craft. And finally we had German’s progressive maestro – Querox. He kicked things off in full throttle – breathing even more life into that dance floor with an incredible fusion of lyrics, synths and driving bass lines. And for those of us that made it through to the end, Querox even spoilt us with a bonus round! When he saw the Sunday crowd he told the organisers he’s playing an extra hour and a half – doubling his set length – and the organisers just couldn’t say no. It’s not everyday an act of this size has the opportunity to play for such an intimate crowd – it was a truly emotional experience. One of the aspects of a festival I, and most people I know, always struggle with is when the sound cuts. Most of the time we have a massive artist closing, playing a full power set – and then it just ends. Music off. Crowd chants possibly get an encore or two and we’re mostly left feeling slightly dumbstruck – not knowing exactly what’s going on. Well, not at EQUINOX – we were spoilt with an emotional progressive journey in which Querox eased us down – only ending at 8pm on the Sunday evening! But an event like this doesn’t just happen – it’s the culmination of a lot of hard work, planning and mostly passion. Everyone involved with the organisation and running of the event are absolute experts in their fields – logistics, venue, sound, visuals, etc. The sheer amount of preparation the organisers put in is also definitely worth mentioning; building an entire new ablution block with mesmerizing views of the landscape while you showered, two new bridges over the empty river bed (probably the only thing I could think could make the event better is this being full of water, but since it’s a seasonal river there’s not much that can be done to help this) connecting the festival area and the camping site as well as the ridiculous stage build that took weeks of on site development. The venue was also kept perfectly clean; constantly having cleaners walking around, picking up stompies from the dancefloor, emptying bins, etc that kept the venue looking immaculate. And finally, to Ryan, Jéan and rest of the EQUINOX team – thank you. It was an absolute honour to be a part of this magical event. I look forward to seeing how your concept and goals for the event play out over the next 5 years at this magical venue! 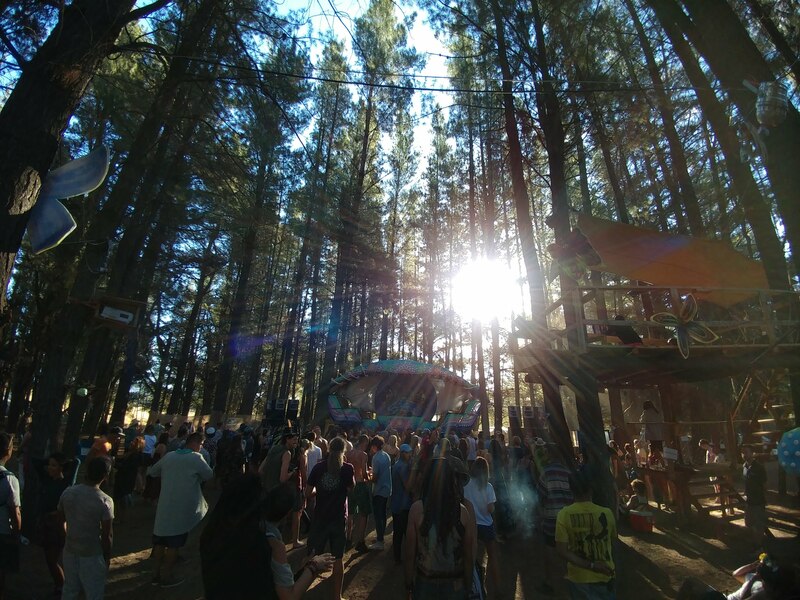 Splashy Express – Only 5 Tickets Left To Splashy Fen Festival!